A classic beauty filled with elegance and grace! 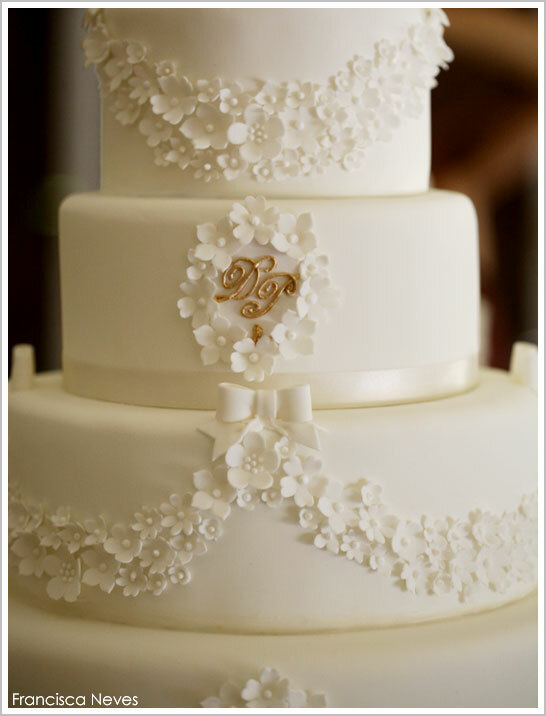 Hundreds of white flower blossoms form delicate swags that encircle the cake. A golden monogram provides a small touch of metallic to coordinate with the other gold details on the table, to include these gorgeous mini cakes and cupcakes. Let’s get one last look at this stunning cake, shall we? It definitely deserves a close up! 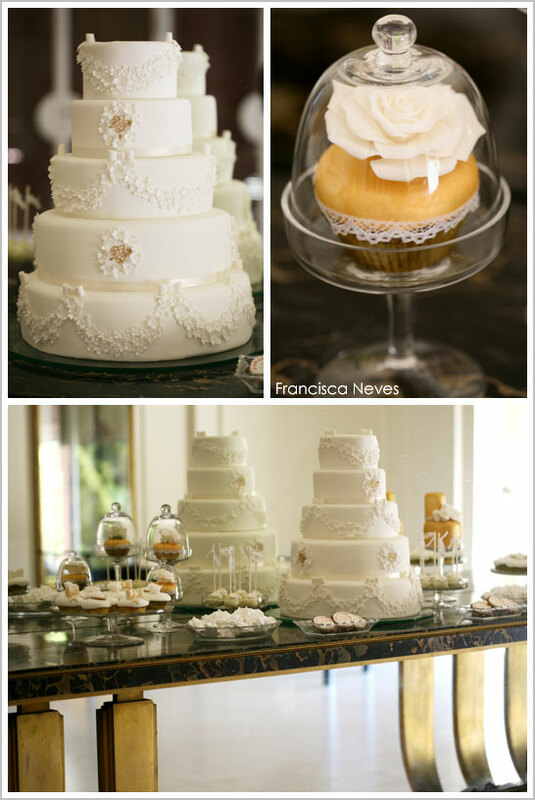 A big thank you to Francisca Neves of Cupcake for sharing her lovely White & Gold Princess Desserts with us today. 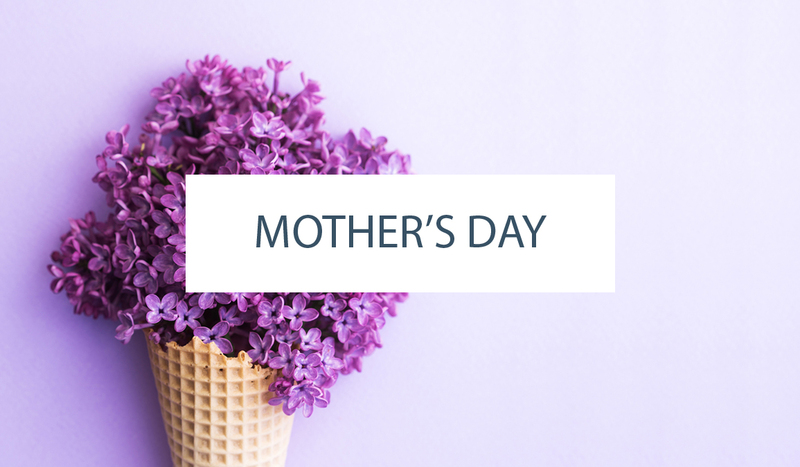 We love everything about this lovely display! 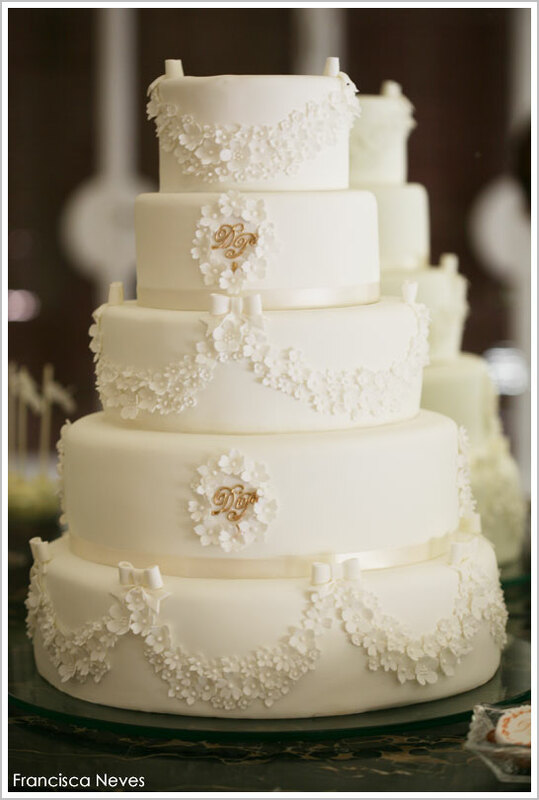 The flowers, the lace, the bows, the gold and of course, the cake! 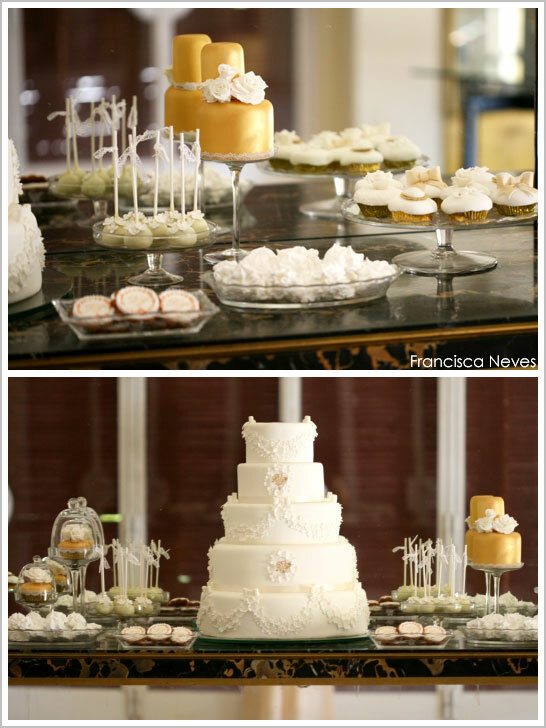 It’s a dessert table that speaks to the princess in all of us! Ooh, this is so beautiful! This would be an incredible wedding cake set! What a great design concept. Elegant and detailed. Awesome wedding cake design………………..This would be an incredible wedding cake set! 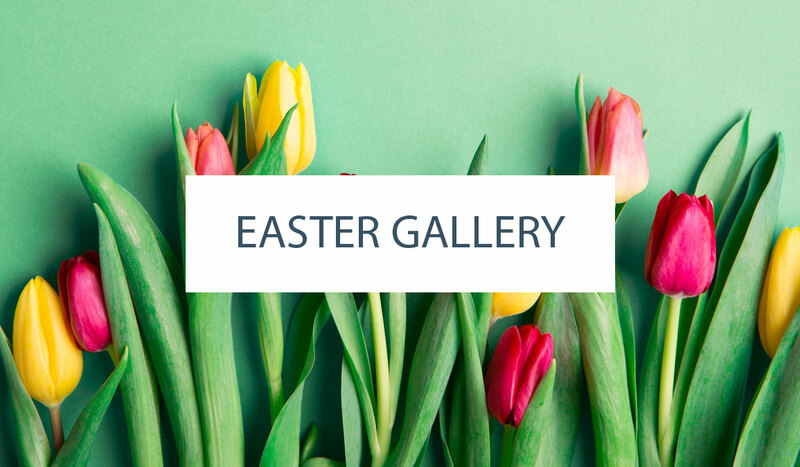 •	I like your blog .Totally interesting also extraordinary blog interesting picture gallery. Give more pictures. Thanks for this blog. This is incredible! It’s a classic wedding cake design but has plenty of its own personality. WOW! Such a beautiful and elegant worK! Congratulation! how much would you say this spicific cake would cost?